You can make a lasting impact on human health by making a donation to further the important work of the Linus Pauling Institute. There are several ways that you can support the Institute's research to prevent disease and improve health. Contributions are made through the Oregon State University Foundation, the institute's parent charity. All gifts are treated as restricted gifts to the Linus Pauling Institute and are tax deductible under IRS regulations. Donor preferences are followed as far as possible, without deviation. Should that be impossible, the donor or his/her representative are asked for permission to redirect or reallocate said gifts. 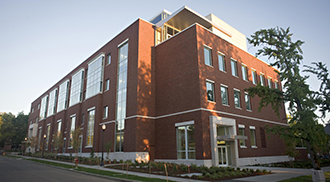 Linus Pauling Institute donors are NOT prospects for general support of Oregon State University and will not be asked to support other OSU programs, unless the donor has specifically indicated such interest. Identities of donors are protected and are NOT shared with, or sold to, outside organizations. If you wish to dedicate your gift in honor or in memory of a friend or loved one, please include a note with your contribution indicating the honoree and those you would like us to notify. A letter will be sent to the honoree or their family indicating that the gift has been made (the amount is not included).